I am the son of a New Zealand landscape artist who made pottery as a hobby, which he taught me to make as a child. I really enjoyed making pots and decided to become a potter when I left school. Later, when I was aged 17, I completed a one year ceramics course at Dunedin polytechnic college, which gave me a really solid foundation in making pottery. 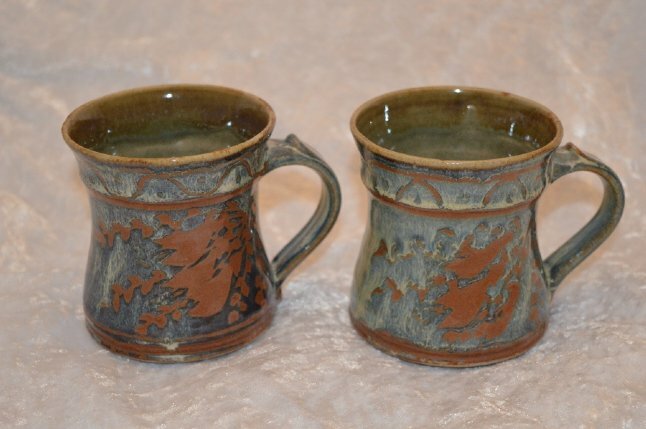 A few years later I obtained a position working for a potter who was previously employed by Shoja Hamada. This was a beneficial experience as he was a very good potter. After this, I shared a workshop with another potter, making my own pottery in Christchurch. 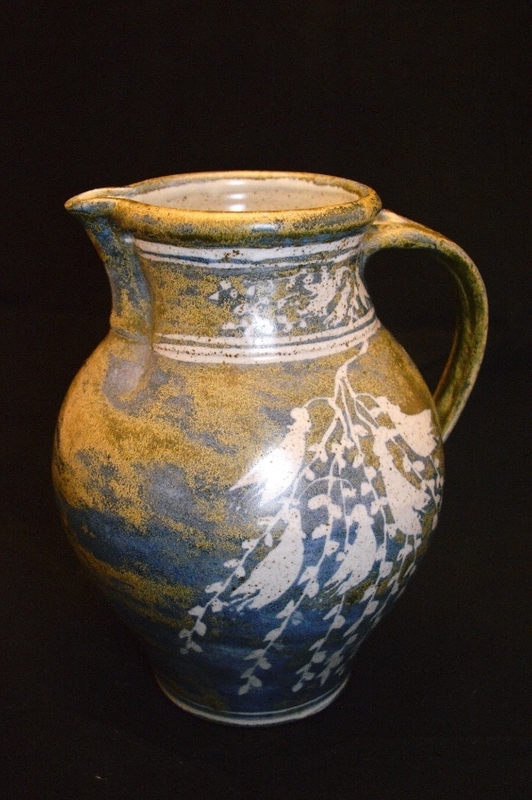 In 1983 I moved to England and worked for Chelsea pottery for four years. I thoroughly enjoyed working there and it really improved my throwing skills as we were paid by piecework and I was able to make a wide variety of shapes including teapots, large platters and bowls. Later, I decided to learn more and took two courses at Medway college of art and design, Kent, where I obtained a national BTech diploma and a higher national diploma in ceramics. In 1994 I set up my own pottery business in Tollesbury, Essex, where I am still based. I am a traditionalist at heart and tend to make classic decorative domestic ware such as large bowls, platters, jugs, vases, casserole dishes, teapots and so on. I also make garden pots. 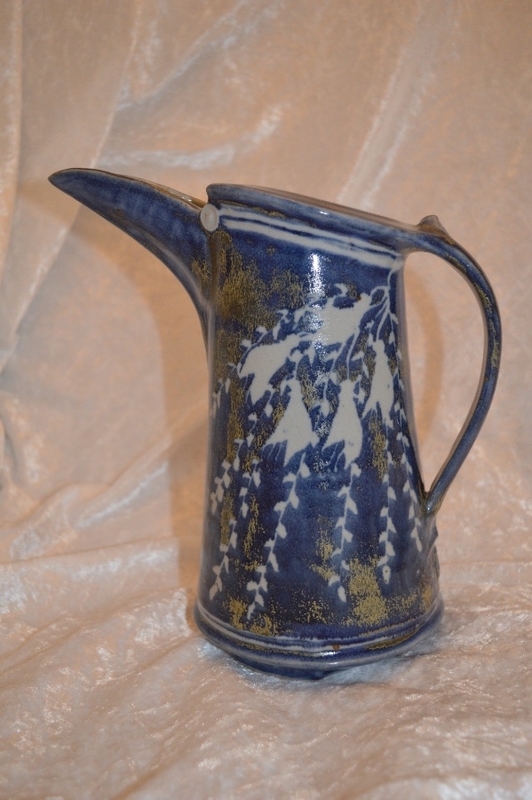 I am influenced by early Chinese/Japanese and Roman and Greek pottery. I am also influenced by natural forms such as the unique New Zealand kowhai flower, which I use as my main wax resist decoration. Some of my decorative bowls are influenced by the sea running over the pebbles and sand on the seashore. Others are derived from organic forms such as seedpods, poppy seed heads and pumpkins. Much of my glazed stoneware is reduction fired in a gas kiln, as I like the rich colours you can obtain from the metal oxides, such as iron oxide, copper, cobalt and so on. 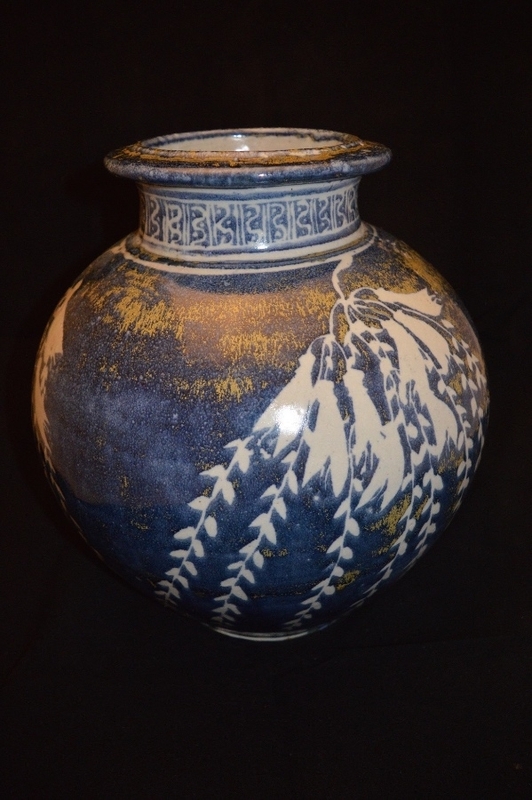 I am a traditional potter - I love to make beautiful pottery that people can admire and also use.